The much anticipated proposed regulations on the implementation of MACRA relating to the Merit-Based Incentive Payment System (MIPS) and Alternative Payment Models (APMs) in Medicare Fee-for-Service have finally been released. MACRA consolidates the current programs of the Physician Quality Reporting System, the Value-Based Modifier, and the Electronic Health Records Incentive Program into one program, MIPS, that streamlines and improves on the three distinct incentive programs. Additionally, MACRA authorizes incentive payments for providers who participate in eligible APMs. Under MACRA, payment adjustments to eligible professional (EP) payments through MIPS and incentive payments for qualifying APM participants will be applied beginning January 1, 2019. EPs under MIPS will be assessed a payment adjustment using four performance categories: quality, resource use, clinical practice improvement activities, and meaningful use of certified electronic health record (EHR) technology. Qualifying APM participants must have a specified amount of their Medicare expenditures or patients through an eligible APM that meets legislative criteria that include quality measures comparable to those in MIPS, required use of certified EHR technology, and either more than nominal financial risk or a structure as a medical home model. Additionally, specific to physician-focused APMs, the legislation creates a Technical Advisory Committee whose role is to receive and evaluate proposed APMs from the public and requires that the Secretary establish criteria for physician-focused payment models, including models for specialist physicians, by November 1, 2016. I have followed the progress of the legislation to repeal the SGR and saw back in February 2014 that the Medicare Provider Payment Modernization Act precursor to MACRA was likely to eventually wind its way through Congress to ultimately be signed by the President. It took Republicans taking control of the Senate to finally see the legislation pass and be signed into law by President Obama on April 16, 2015. The Medicare Access and CHIP Reauthorization Act of 2015 (MACRA) (Pub. L. 114-10, enacted April 16, 2015), amended title XVIII of the Social Security Act (the Act) to repeal the Medicare sustainable growth rate and strengthen Medicare access by improving physician payments and making other improvements, to reauthorize the Children’s Health Insurance Program (CHIP), and for other purposes. This rule is needed to propose policies to improve physician payments by changing the way Medicare incorporates quality measurement into payments and by developing new policies to address and incentivize participation in alternative payment models. 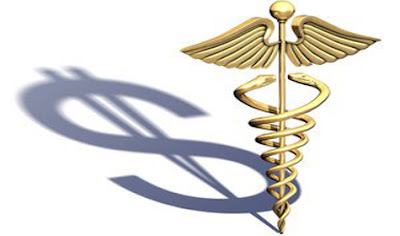 Physician Value-based Payment Modifier (VM), and the Medicare Electronic Health Record (EHR) Incentive Program for eligible professionals (EPs), and would continue the focus on quality, resource use, and use of certified EHR technology in a cohesive program that avoids redundancies. This proposed rule also would establish incentives for participation in certain alternative payment models (APMs), supporting the Administration’s goals of moving more fee-for-service payments into APMs that focus on better care, smarter spending, and healthier people. This proposed rule also includes proposed criteria for use by the Physician-Focused Payment Model Technical Advisory Committee (PTAC) in making comments and recommendations to the Secretary on physician-focused payment models (PFPMs). In this proposed rule we have rebranded key terminology based on feedback from stakeholders, with the goal of selecting terms that would be more easily identified and understood by our stakeholders. We discuss these terminology changes in greater detail in the following sections of this proposed rule. This proposed rule would sunset payment adjustments under the current PQRS, VM, and the Medicare EHR Incentive Program for EPs. Components of these three programs would be carried forward into the new MIPS program. This proposed rule would establish a new subpart O of our regulations at 42 CFR 414.1300 to implement the new MIPS program as required by the MACRA. eligible clinicians” rather than “MIPS EPs” as that term is defined at section 1848(q)(1)(C) and used throughout section 1848(q) of the Act. MIPS eligible clinicians will include physicians, physician assistants, nurse practitioners, clinical nurse specialists, certified registered nurse anesthetists, and groups that include such clinicians. The rule proposes definitions and requirements for groups. In addition to proposing definitions for MIPS eligible clinicians, the rule also proposes rules for the specific Medicare-enrolled practitioners that would be excluded from MIPS, including newly Medicare-enrolled eligible clinicians, Qualifying APM Participants (QPs), certain Partial Qualifying APM Participants (Partial QPs), and clinicians that fall under the proposed low-volume threshold. This rule proposes MIPS performance standards and a MIPS performance period of 1 calendar year (January 1 through December 31) for all measures and activities applicable to the four performance categories. Further, we propose to use 2017 as the performance period for the 2019 payment adjustment. Therefore, the first performance period would start in 2017 for payments adjusted in 2019. This time frame is needed to allow data and claims to be submitted and data analysis to occur. In addition, it would allow for a full year of measurement and sufficient time to base adjustments on complete and accurate information. As directed by the MACRA, this rule proposes measures, activities, reporting, and data submission standards across four performance categories: quality, resource use, clinical practice improvement activities (CPIAs), and meaningful use of certified EHR technology (referred to in this proposed rule as “advancing care information”). Measures and activities would vary by category and include outcome measures, performance measures, and global and population based measures. Consideration would be given to the application of measures to non-patient facing MIPS eligible clinicians. Quality measures would be selected annually through a call for quality measures process. Selection of these measures is proposed to be based on certain criteria that align with CMS priorities, and a final list of quality measures will be published in the Federal Register by November 1 of each year. Under the standards proposed in this rule, there would be options for reporting as an individual MIPS eligible clinician or as part of a group. Some data could be submitted via relevant third party data submission entities, such as qualified clinical data registries (QCDRs), health IT vendors1, qualified registries, and CMS-approved survey vendors. ● Quality: For most MIPS eligible clinicians, we propose to include a minimum of six measures with at least one cross-cutting measure (for patient-facing MIPS eligible clinicians) and an outcome measure if available; if an outcome measure is not available, then the eligible clinician would report one other high priority measure (appropriate use, patient safety, efficiency, patient experience, and care coordination measures) in lieu of an outcome measure. MIPS eligible clinicians can meet this criterion by selecting measures either individually or from a specialty-specific measure set. ● Resource Use: Continuation of two measures from the VM: total per costs capita for all attributed beneficiaries and Medicare Spending per Beneficiaries (MSPB) with minor technical adjustments. In addition, episode-based measures, as applicable to the MIPS eligible clinician. ● CPIA: We generally encourage but are not requiring a minimum number of CPIAs. ● Advancing Care Information: Assessment based on advancing care information measures and objectives. We propose standards for measures, scoring, and reporting for MIPS eligible clinicians across all four performance categories outlined in this section. We propose that MIPS eligible clinicians who participate in certain types of APMs will be scored using an APM scoring standard instead of the generally applicable MIPS scoring standard. The U.S. Department of Health & Human Services’ (HHS) Office of the Assistant Secretary for Planning and Evaluation (ASPE) is conducting studies and making recommendations on the issue of risk adjustment for socioeconomic status on quality measures and resource use as required by section 2(d) of the Improving Medicare Post-Acute Care Transformation Act of 2014 (the IMPACT Act) and expects to issue a report to Congress by October 2016. We will closely examine the recommendations issued by ASPE and incorporate them, as feasible and appropriate, in future rulemaking. We are proposing MIPS eligible clinicians have the flexibility to submit information individually or via a group or an APM Entity group; however, the MIPS eligible clinician would use the same identifier for all performance categories. The proposed scoring methodology has a unified approach across all performance categories, would allow MIPS eligible clinicians to know in advance what they need to do to perform well in MIPS, and eliminates the need for an “all or nothing” scoring as has been the case under some other CMS programs. The four performance category scores (quality, resource use, CPIA, and advancing care information) would be aggregated into a MIPS composite performance score (CPS). The MIPS CPS would be compared against a MIPS performance threshold. The CPS would be used to determine whether a MIPS eligible clinician receives an upward payment adjustment, no payment adjustment, or a downward payment adjustment as appropriate. Payment adjustments would be scaled for budget neutrality, as required by statute. The CPS would also be used to determine whether a MIPS eligible clinician qualifies for an additional positive adjustment factor for exceptional performance. To ensure that MIPS results are useful and accurate, we propose a process for providing performance feedback to MIPS eligible clinicians. Beginning July 1, 2017, we propose to include information on the quality and resource use performance categories in the performance feedback. Initially, we propose to provide performance feedback on an annual basis. In future years, we may consider providing performance feedback on a more frequent basis as well as adding feedback on the performance categories of CPIA and advancing care information. We propose to make performance feedback available using a CMS designated system. Further, we propose to leverage additional mechanisms such as health IT vendors, registries, and QCDRs to help disseminate data/information contained in the performance feedback to eligible clinicians where applicable. We propose to adopt a targeted review process under MIPS wherein a MIPS eligible clinician may request that we review the calculation of the MIPS adjustment factor and, as applicable, the calculation of the additional MIPS adjustment factor applicable to such MIPS eligible clinician for a year. We further propose a general process by which a MIPS eligible clinician could request targeted review. We propose requirements for third-party data submission to MIPS. Specifically, qualified registries, QCDRs, health IT vendors, and CMS-approved survey vendors would have the ability to act as intermediaries on behalf of MIPS eligible clinicians and groups for submission of data to us across the quality, CPIA, and advancing care information performance categories. We also propose a process for public reporting of MIPS information through the Physician Compare Web site. We propose public reporting of a MIPS eligible clinician's data; in that for each program year, we will post on a public Web site (for example, Physician Compare), in an easily understandable format, information regarding the performance of MIPS eligible clinicians or groups under the MIPS. In this rule, we propose standards we would use for the purposes of the Alternative Payment Model (APM) incentive. The MACRA defines APM for the purposes of the incentive as a model under section 1115A of the Social Security Act (the Act) (excluding a health care innovation award), the Shared Savings Program under section 1899 of the Act, a demonstration under section 1866C of the Act, or a demonstration required by federal law. We propose to define the term “Other Payer APMs” to refer to arrangements in which eligible clinicians may participate through other payers. We also propose to define the term APM Entity as an entity that participates in an APM through a contract with a payer. APMs that meet the criteria to be Advanced APMs provide the pathway through which eligible clinicians can become QPs and earn incentive payments for participation in APMs as specified under the MACRA. This rule proposes two types of Advanced APMs: Advanced APMs and Other Payer Advanced APMs. To be an Advanced APM, an APM must meet three requirements: (1) require participants to use certified EHR technology; (2) provide payment for covered professional services based on quality measures comparable to those used in the quality performance category of MIPS; and (3) be either a Medical Home Model expanded under section 1115A of the Act or bear more than a nominal amount of risk for monetary loses. In this rule, we propose criteria for each of the requirements to be an Advanced APM. To be an Other Payer Advanced APM, a commercial or Medicaid APM must meet three requirements similar to the CMS Advanced APM requirements: (1) require participants to use certified EHR technology; (2) provide payment based on quality measures comparable to those used in the quality performance category of MIPS; and (3) be either a Medicaid Medical Home Model that is comparable to Medical Home Models expanded under section 1115A of the Act or bear more than a nominal amount of risk for monetary losses. We propose that we would notify the public of which APMs will be Advanced APMs prior to each QP Performance Period, starting no later than January 1, 2017. This information will be posted on our Web site. We propose that professional services furnished at Critical Access Hospitals (CAHs), Rural Health Clinics (RHCs) and Federally Qualified Health Centers (FQHCs) that meet certain criteria be counted towards the QP determination. The MACRA sets a Medicare threshold for the level of participation in Advanced APMs required for an eligible clinician to become a QP for a year. The Medicare Option, based on Part B payments for covered professional services or counts of patients furnished covered professional services under Part B, is applicable beginning with CY 2019. The All-Payer Combination Option, based on the Medicare Option, as well as an eligible clinician’s participation in Other Payer Advanced APMs, is applicable beginning with CY 2021. For eligible clinicians to become QPs through the All-Payer Combination Option, an Advanced APM Entity or eligible clinician must submit information to us so that we can determine whether an Other Payer APM is an Other Payer Advanced APM and whether an eligible clinician meets the requisite QP threshold of participation. We propose a methodology and criteria to evaluate eligible clinicians using the All-Payer Combination Option. For purposes of evaluating Other Payer APMs, we also propose criteria for the definition of Medicaid Medical Homes and Medical Home Model. We propose to identify individual eligible clinicians by a unique APM participant identifier using the individuals’ TIN/NPI combinations, and to assess as an APM Entity group all individual eligible clinicians listed as participating in an Advanced APM Entity to determine QP status for a year. We also propose that if an individual eligible clinician who participates in multiple Advanced APM Entities does not achieve QP status through participation in any single APM Entity, we would assess the eligible clinician individually to determine QP status based on combined participation in Advanced APMs. We propose the method that CMS would use to calculate and disburse the APM Incentive Payments to QPs. We propose specific rules for calculating the APM Incentive Payment when a QP also receives non-fee-for-service payments or payment adjustments through the Medicare EHR Incentive Program, PQRS, VM, MIPS, or other payment adjustment programs. We propose that we would perform monitoring and compliance around APM Incentive Payments. We propose a definition for Physician-Focused Payment Models (PFPMs), criteria that would be used by the PFPM Technical Advisory Committee (PTAC), the Secretary, and CMS to evaluate proposals for PFPMs, and the process by which PFPMs would be considered for testing and implementation by CMS after review by the PTAC. We propose to require MIPS eligible clinicians, as well as EPs, eligible hospitals, and Critical Access Hospitals (CAHs) under the existing EHR Incentive Programs to make a demonstration related to the provisions concerning blocking the sharing of information under section 106(b)(2) of the MACRA and, separately, to demonstrate cooperation with authorized ONC surveillance of certified EHR technology. Under the MACRA’s requirements, MIPS would distribute payment adjustments to between approximately 687,000 and 746,000 eligible clinicians in 2019. Payment adjustments would be based on MIPS eligible clinicians’ performance on specified measures and activities within the four performance categories. We estimate that MIPS payment adjustments would be approximately equally distributed between negative adjustments ($833 million) and positive adjustments ($833 million) to MIPS eligible clinicians, to ensure budget neutrality. Additionally, MIPS would distribute approximately $500 million in exceptional performance payments to MIPS eligible clinicians whose performance exceeds a specified threshold. These payment adjustments are expected to drive quality improvement in the provision of MIPS eligible clinicians’ care to Medicare beneficiaries and to all patients in the health care system. However, the distribution could change based on the final population of MIPS eligible clinicians for CY 2019 and the distribution of scores under the program. We estimate that between approximately 30,658 and 90,000 eligible clinicians would become QPs through participation in Advanced APMs, and are estimated to receive between $146 million and $429 million in APM Incentive Payments for CY 2019. As with MIPS, we expect that APM participation would drive quality improvement for clinical care provided to Medicare beneficiaries and to all patients in the health care system. 1 We note that, for this proposed rule, a health IT vendor that serves as a third party intermediary to collect or submit data on behalf MIPS eligible clinicians may or may not also be a “health IT developer.” Under the ONC Health IT Certification Program (Program), a health IT developer constitutes a vendor, self-developer, or other entity that presents health IT for certification or has health IT certified under the Program. The use of “health IT developer” is consistent with the use of the term “health IT” in place of “EHR” or “EHR technology” under the Program (see 80 FR 62604; and the advancing care information performance category in this rule). Throughout this proposed rule, we use the term “health IT vendor” to refer to entities that support the health IT requirements of a clinician participating in the proposed Quality Payment Program.